There are a few details that can help you identify a fake Rolex Watch. Rolex does not make clear back watches with the exception of two vintage models from the 1930s. New Rolex Watches are shipped with a 3D sticker with the trademark Rolex logo (“crown”). Most Rolex Watches does not have engravings of any kind on the back of the watches with the exception of certain models. Rolex Watches with the date magnification should be 2.5 times. Most fake Rolex Watches are magnified 1.5 times. In 2002, Rolex began to add a ghostly image on the crystal face of the watch. It is an image of the Rolex crown at the 6’o clock position. These are only some information you can use to identify a fake Rolex Watch. Before purchasing a Rolex Watch, please go to an authorized Rolex Dealer. You can find the information at www.Rolex.com. You can also bring in your Rolex Watch to our store in Patchogue, New York or call us at 631-758-6363. Let our experienced professionals examine the watch for you. NEW YORK (Kitco News) – It’s the stuff coin dreams are made of. A rare 1794 U.S. silver dollar will be placed on the bidding block next month and is expected to sell for between $3 million and $5 million. There are only 150 of the coins known to exist, and this is one of the three best preserved. The coin will be up for auction in New York City on September 30. 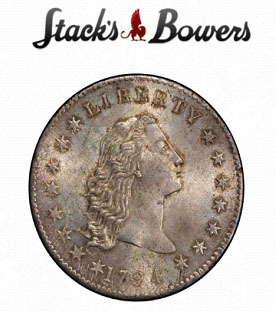 CNN Reported that John Kraljevich, a consultant for the auction house Stack’s Bowers that’s handling the sale, said the coin’s historical significance has collectors craving it. The finest known specimen of the 1794 Silver Dollar shattered the world record for a coin sale in 2013 when it fetched $10 million at auction. The report said that the silver dollar up for sale next month, was a forgotten keepsake of an English lord that languished for 170 years in a cabinet. Budget Buy & Sell buys gold, diamonds, silver, coins, watches, jewelry, and other collectibles. Whether you are looking to sell your valuables or to obtain a pawn loan or collateral loan, we pay top dollar and pride ourselves on generations of honesty and integrity. Just bring your items to our store in Patchogue, Long Island, New York and our experienced staff will give you an estimate of the value of your unwanted gold or jewelry. How Can I Get Cash Today for My Gold and Jewelry? Selling your unwanted scrap gold and gold jewelry is a great way to get fast cash today. But we know that you also have items that you don’t want to sell – perhaps items that have strong sentimental value. Budget Buy & Sell offers our customers the option of a fast, easy, and secure way to receive fast cash today for your diamonds, gold, platinum and silver jewelry, without parting with them. Pawn loans are a fast and simple way to quickly get the cash you need, when you need it – today. With a secure pawn loan, you can avoid credits checks and time-consuming loan applications simply by using the valuable possessions you already own to secure an instant cash pawn loan. With a pawn loan, getting cash for your gold and jewelry is fast and easy at Budget Buy & Sell. Basically, a pawn loan allows you to actually loan yourself money against the value of your personal possessions. We’re simply here to help facilitate this process. We have helped thousands of people obtain pawn loans and fast cash when they need it most. Cash emergencies are exactly that: sudden, unexpected, and immediate. A major car repair, a flooded basement or boiler replacement, and especially job layoffs can create unexpected hardships – and a pawn loan can help save the day. Simply bring your items into our Patchogue store, and one of our friendly and knowledgeable experts will evaluate your gold and valuable jewelry items and explain to you how much each item is worth if you want to obtain a pawn loan for the value of that item. Your gold jewelry and valuables never leave your sight. Once you know the pawn loan value for each item, you can then choose which (if any) combination of items you want to use to obtain your pawn loan. With a pawn loan from Budget Buy & Sell, you get discreet service and fast cash on the spot – and we guarantee the highest prices for our pawn loans. Once you pledge an asset (like a piece of jewelry or other valuable piece of property) as collateral for your pawn loan, this item then becomes a secured debt owed to Budget Buy & Sell. We hold the valuable in our safe possession until the loan, plus interest, is paid back in full. At that point, Budget Buy & Sell securely returns the item back to you. In the event that you decide not to repay your loan, Budget Buy & Sell simply satisfies your debt by marketing your valuable for sale through our network of dealers and resellers. Pawn loan items are never offered for sale unless and until you choose not to repay your loan. The entire pawn loan process usually takes no more than 15 minutes to complete. A pawn loan from Budget Buy & Sell is not harmful to your credit and you have absolutely no obligation to repay the loan. It’s the secure, discreet and quick way to get cash into your hands – at a time in life when you need it most. And we guarantee that you will get top dollar for your pawn loan at Budget Buy & Sell. So you can get the cash you need right away, and you are still able to retain ownership of the items that have sentimental value to you. Most pawn loans are issued for 4 months, but may be extended by paying the interest at the end of the loan period. If you choose not to repay the loan and interest, you will forfeit the item to Budget Buy & Sell. Within 30 days of the loan expiration date, Budget Buy & Sell will send you written notification to remind you that the loan is about to expire. We always recommend that you call us the day before, or morning of, the day you plan to come in to repay your loan and pick up your valuables. Getting a pawn collateral loan at Budget Buy & Sell is as easy as 1, 2, 3. In the past 100 years, the number of pawnbrokers has skyrocketed in the United States. During the Great Depression era, pawn shops were among the only institutions offering cash as banks failed and people were forced to give up their cherished items to make ends meet. Today, whether in big cities and small towns, pawn shops are still a primary place people can go to turn their items into cash. Pawnbrokers operate as mini-banks for millions of Americans who do not hold checking accounts, and they also serve as an area of exchange for people of all class backgrounds to buy and sell unique, rare or coveted items. Electronics, musical instruments and distinctive pieces of clothing are also common items pawnbrokers accept for collateral pawn loans.